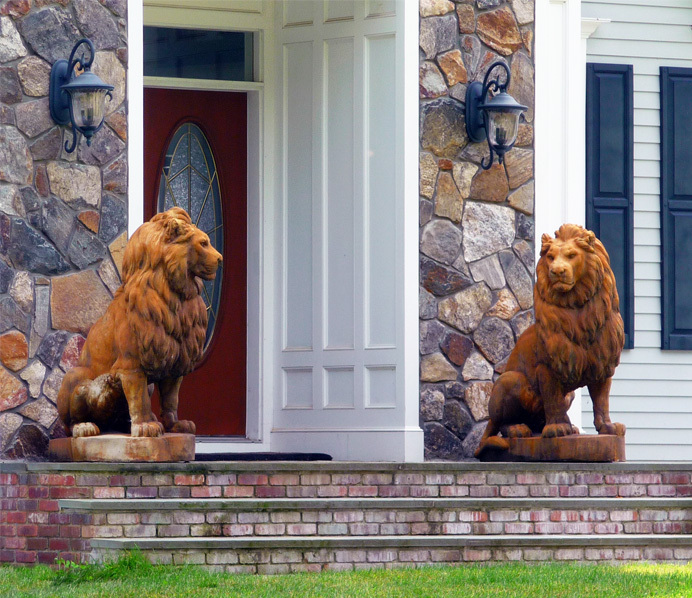 A magnificent pair of lions guards the front door of a house in Fieldstone Estates, a development just off Middle River Road. Sometimes I go over there to see how the other half lives. Most of the dozen or so houses are $1 million-plus—double or triple the price elsewhere on my circuit. Strangely, three or four years after they were built, about half seem to be empty. .